Water is a precious resource throughout the world. Most of Utah consists of arid habitats and many users clamor for their share of the scarce moisture. Ever-growing demand challenges water managers to insure that agriculture, cities and nature all get their portion. Predicting and monitoring stream flow is imperative in order to know how much to hold in reservoirs or send downstream, and when to anticipate floods, enact water conservation measures, and in general provide for all users. Much of Utah’s water originates in the mountain snowpack. 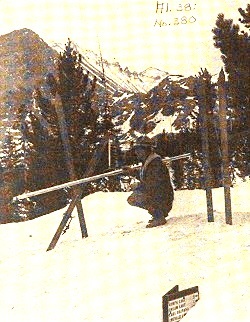 Early in the twentieth century, the Department of Agriculture constructed a series of Snow Courses in mountainous areas of the West. Hardy personnel periodically trekked in to measure snow depth with a long ruled stick. Water content was found by taking a core sample, weighing it and subtracting out the weight of the metal tube. Stream gauging stations installed by the US Geological Survey allowed correlation of stream flows with snowpack measures. 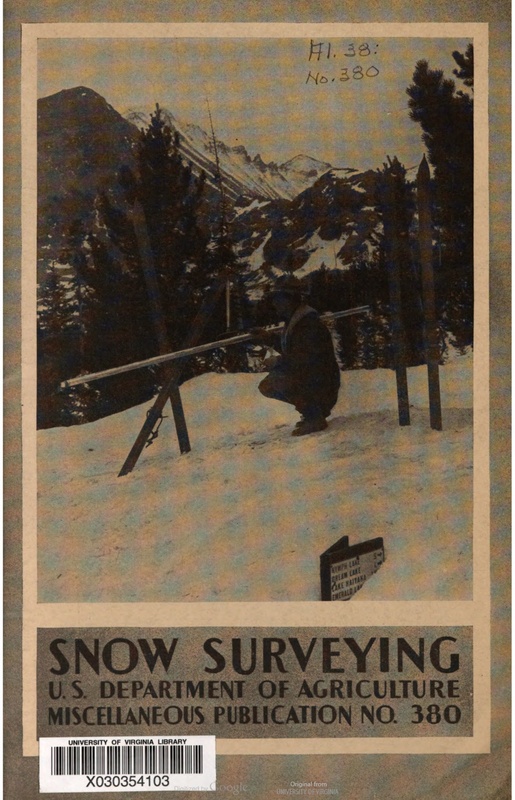 In the 1970’s, monitoring snow courses became more automated. The reporting stations were named “SNOTEL” for snowpack telemetry. Now there are over 600 SNOTEL sites in 13 western states. The measurement functions of SNOTEL stations are elegantly simple and reliable. Air and soil temperatures are monitored with standard thermocouples. Water content of the snowpack is measured by its weight atop a broad thin bladder called a snow pillow that is filled with antifreeze. The snow pillow is carefully spread on the ground. Accumulating snow presses down on the pillow, pushing some antifreeze out a connecting tube to a pressure sensor. Some SNOTEL sites also measure snow depth, using the autofocus technology of the digital camera. Subject distance is gauged by the time delay of an ultrasonic pulse, like sonar or hearing your voice echo back in a canyon. At a SNOTEL station, a similar sensor is placed high above the expected snow line. As snow accumulates, the downward facing sensor reports the shortening distance between it and the snow surface. SNOTEL stations have batteries and a solar panel to power their hourly data transmissions. Ogden has one of the two master receiving stations. Want to size up mountain snowfall from the last storm or know how warmly to dress for an outing? Just go to Utah’s SNOTEL information site on the web.